By default, photology will show side navigation, and top navigation menu. 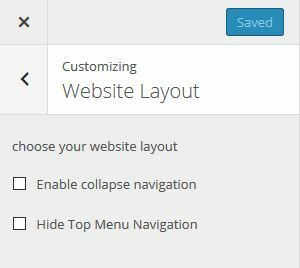 but we also provide option to hide / collapse side navigation & hide top / header navigation menu. When you hide top / header navigation menu, you don’t need to worry if menu portfolio filter not showing. We replace header navigation menu with floating filter menu.